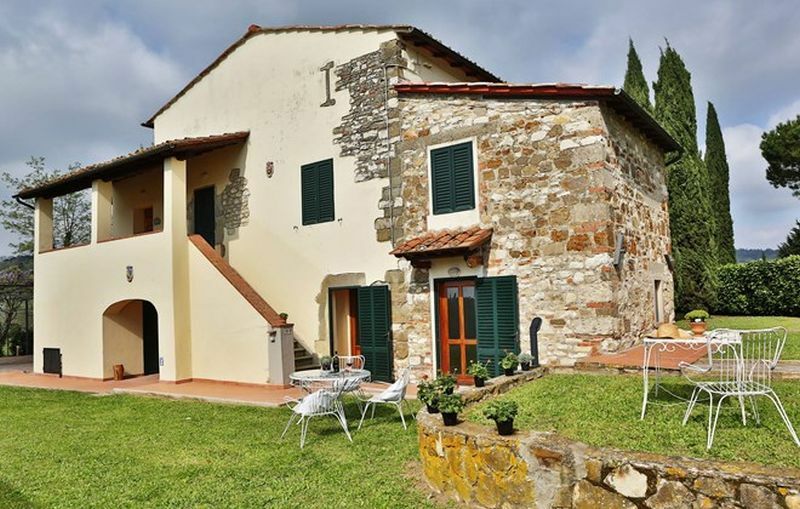 Situated approximately 2 kms from the village of Rignano Sull’Arno and only 15 kms from Florence, the residence is built on a hillside and consists of 25 apartments, spread over 3 buildings, the main property dating back to the 14th century and 2 farm buildings, each with their own swimming pool. At your disposal in our Residence Fattoria Pagnana: 2 swimming pools (8 x 16 m and 14 x 7 m – open from May to the end of September), tennis court, shared barbecue, children's playground, fee-paying internet access, free private parking. The apartments, for 2 to 6 persons, are fully equipped in pure Tuscan style, with a kitchen corner (microwave) and a shower room with toilet. All the apartments are situated on the ground floor or on the first floor. A free tasting session will be offered every week by local winegrowers and oil-producers. An area for pets, where they do not have to be kept on a lead. Deposit and tourist tax to be paid on the spot upon arrival. The deposit will be given back to you on the day of departure, after inventory. The accommodation should be left perfectly clean. Otherwise a statutory sum will be kept from the deposit. Pets admitted: up-to-date vaccination certificate and tattoo required. Dogs are to be kept on a lead within the residence. ATTENTION: The pet owners must pay on the spot an additional deposit of 100€! Rignano sull’arno is a commune of around 8000 inhabitants, just a few kilometres from Florence in the beautiful region of Tuscany, with its gently rolling hills and soft, seductive light. It is a region with many interesting, architectural sites, as well as many delightful villas and castles. The region of Rignano, a mainly agricultural region, has been inhabited since Roman times.